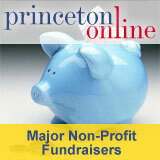 Princeton Online Non-Profit Groups - Guide to local Princeton area community groups and charitable organizations plus timely information about advocacy issues, workshops, and more. NOFA-NJ and Brick Farm Market will be discussing Charles Eisenstein's March 2015 article "We Need Regenerative Farming, Not Geoengineering" published in The Guardian. Location: Brick farm Market, Hopewell, NJ. Details and required registration: https://nofanj.org/event/charles-eisenstein-and-regenerative-agriculture/.